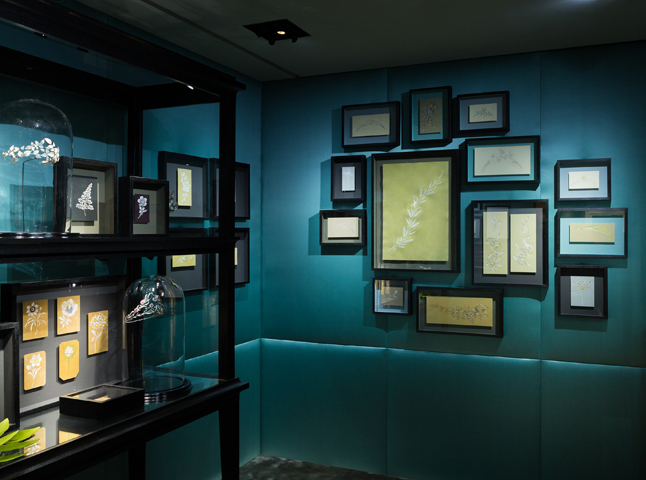 The prominent French Jewellery House-Chaumet has opened its doors for a temporary exhibit -“Promenade Bucolique” in its personal museum situated on the second floor of the brand’s flagship store at Place Vendome 12, an important address with a capital letter, where once housed the Russian Embassy in France, the house where Frederic Chopin died. While entering the Chaumet museum, everything reminds France of the Napoleonic era. Every angle is literally “absorbed by the presence” of the great empress-Josephine de Beauharnais. Needless to say about Chaumet limitless love to the empress that bears witness to the Haute Joaillerie collection named “Josephine” that includes magnificent jewels as well as precious watches. “Promenade Bucolique” offers the chance to discover a selection of 16 pieces by Chaumet dating from the Romantic period to the 1980s. 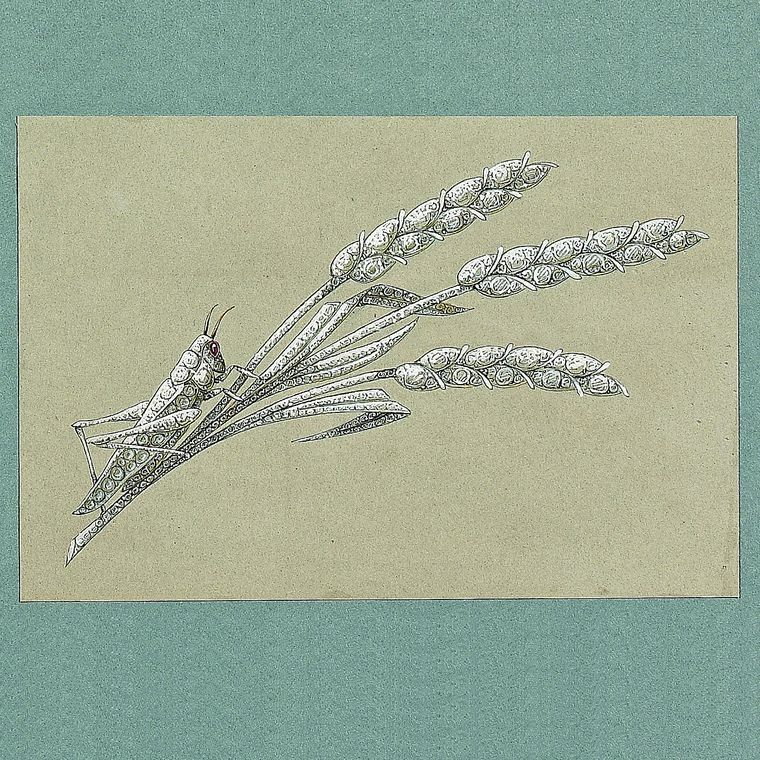 The museum also displays never-seen-before archival drawings. Each piece of Chaumet jewellery created or reworked in its workshops has been documented in a series of black and white photographs. 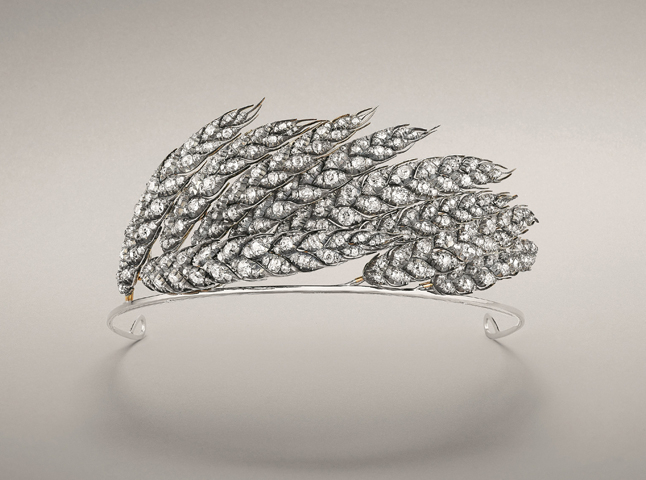 Wheat sheaf tiara designed in 1811 for Empress Marie-Louise, Napoleon’s second wife, Chaumet. 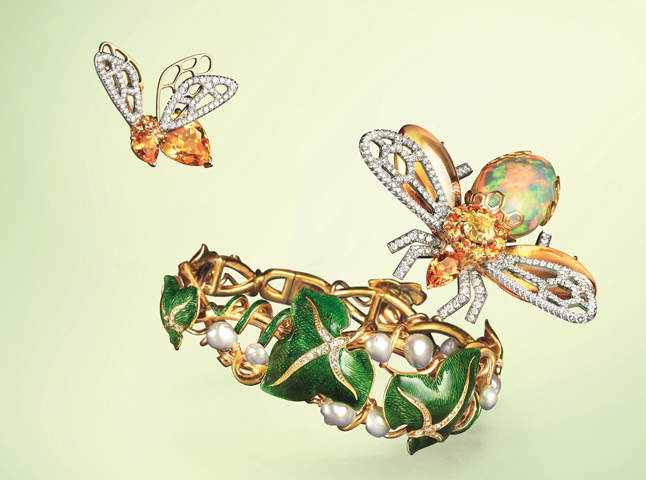 This ephemeral exhibit features inimitable jewellery items adorned with sparkling diamonds which were carefully collected by the permanent director of the museum-Madame Beatrice de Plinval -Chaumet Heritage curator. The main idea of “Promenade Bucolique” invented by Madame de Plinval is naturalism, a trademark of Chaumet style and culture. Naturalism pays tribute to the Nature’s Genius that masterfully combined both the rich lush flora and pretty tricky fauna. 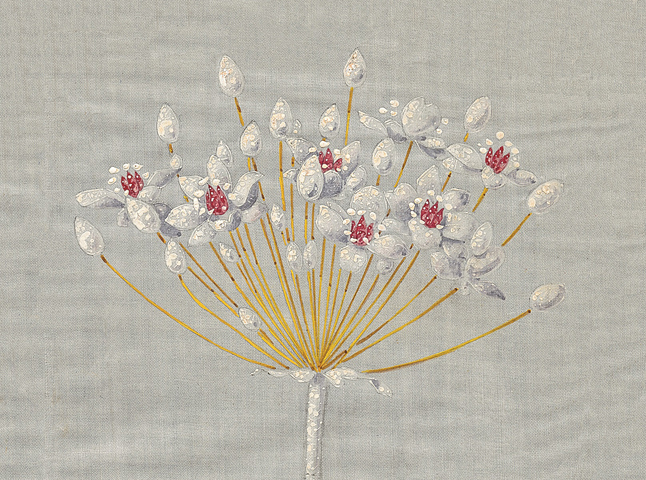 Showcased at the ephemeral exhibit historical adornments: bijoux de la tete, rings, necklaces, corsage brooches, precious combs and pocket watches, derived from the archive collections, are complemented by the sketches of the jewels never realized. 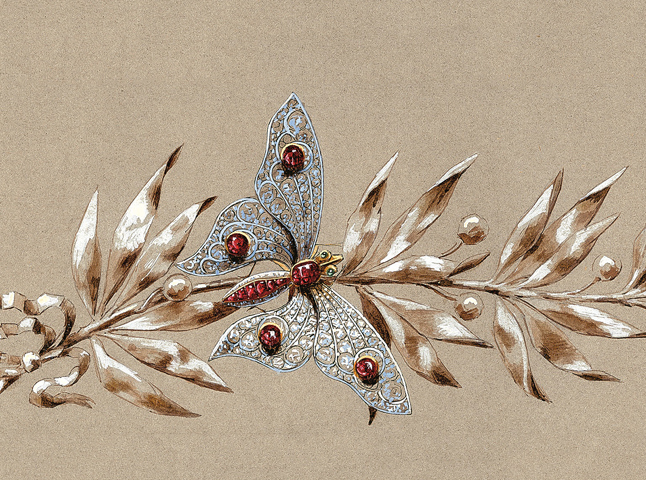 Historical emotional style of Chaumet is deliberately hidden in the quiet sensuality. Any jewel of the brand attracts the eye with its ceremonial estrangement. As if you suddenly look not just at the tiara, ring, brooch or aigrette but at the imperial lady whose position obliges to speak quietly and requires attention and reverence. 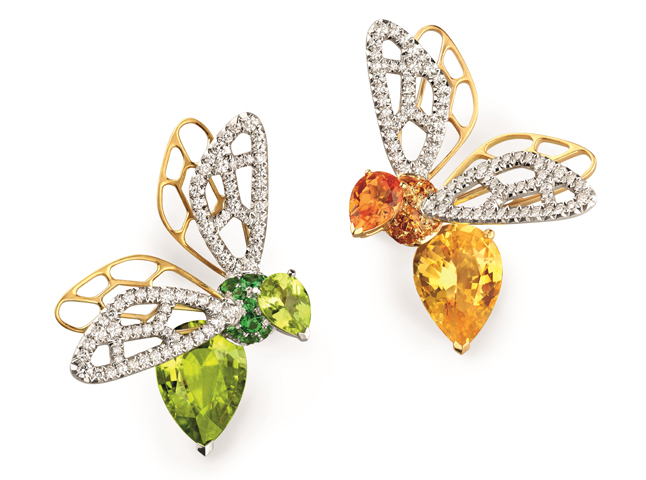 The technical style of Chaumet is the style of “million” showy details, the style of precious deduction, when a multitude of microscopic elements creates an impressionist rainbow, perfect divine picture. Flowers, stalks and buds, wreaths, shells, swirls, arabesques and feathers… From delicacies of sapphires, emeralds, rubies, diamonds, gold and platinum, fabulous semi-precious stones, a wonderful canvas is created at Chaumet. It could be a still life or a landscape. In a word, a jewellery scene, timidly frozen in anticipation of the grand curtain. Both symmetrical(empire and art deco) and asymmetrical(belle epoque, moderne, neoclassique 1940) compositions are successfully created thanks to this deductive method. 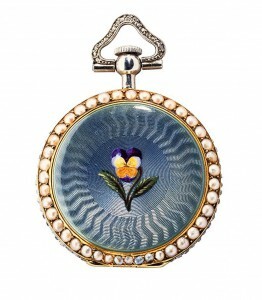 The jewels and watches(40 pieces showcased at the museum) can be considered both fashion and costume. Promenade Bucolique is ephemeral but it always leaves us memories, very strong like the French refinement and Parisian chic signed Chaumet. So if you happen to find yourself close to Place Vendome in the City of Light , be sure to pay a visit to number 12.